Many cars will already be here from last week’s Shades of the Past Hot Rod Roundup event, and others have been flooding into town to begin this huge event with hundreds of classic cars on display and entered in the contest. There’s $10,000 prize money for the best cars, with multiple categories and awards. The show itself is centered in the LeConte Center on Teaster Lane, but the event is massively overflowed into the town of Pigeon Forge itself as Parkway fills up with cars cruising slowly, looking and being looked at. You can set up a lawn chair on Parkway and watch it go by, and you can stroll or cruise the strip yourself, gazing at the multitude of cars that proud owners have parked in friendly parking areas along Parkway. 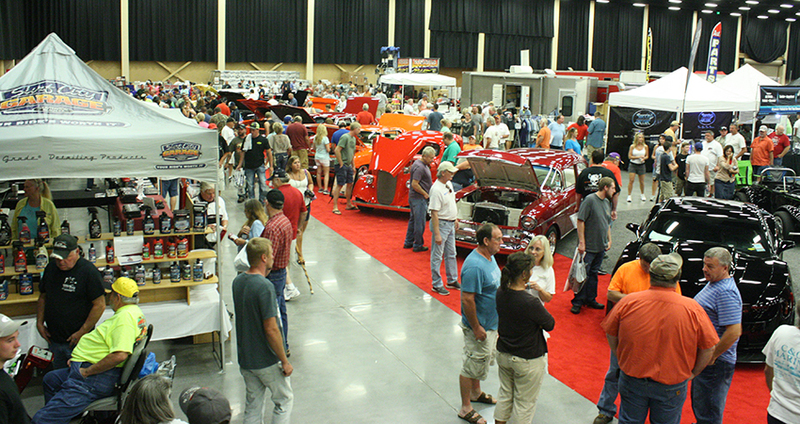 Check out some of the stories we’ve written about previous Rod Runs and other car shows: Muscle Cars in the Pigeon Forge Area. As always in this part of the Smoky Mountains, this event draws a large but super-friendly crowd. Traffic is dense, but strolling is fun. For full information, see the Rod Run website. The party goes late into the night during the Rod Run, so if you want to take a break and find some quiet or something different, check out the other events in the area for a change of pace. 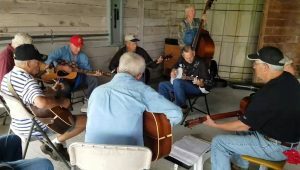 For a start, how about a bluegrass festival? This festival is one of the better kept secrets of the area. It’s north of Sevierville at Kodak, close to the Smokies Stadium, at Dumplin Valley Farm & RV Park. It’s a 3-day festival held this year on September 14-16, 2017, and starting at noon on Thursday. Campers and RV travelers book well in advance for the festival dates, but for daily attendees it’s a spacious and friendly farm with plenty of room just to show up and get a ticket at the door. The event draws around 3,000 people. Music is in the air for three days during the festival, which draws amazing talent each year, and the RV park and campground holds numerous amateur musicians who bring their own instruments. Lots of jams happen between the shows from morning until late at night. This is a super family-friendly event, in a venue that loves kids. The Festival is free to kids under 12 and there’s no alcohol permitted. This is a unique festival and the food is out of this world, with plenty of local treats and home cooking available. Check out some previous write-ups we’ve done on the festival here. 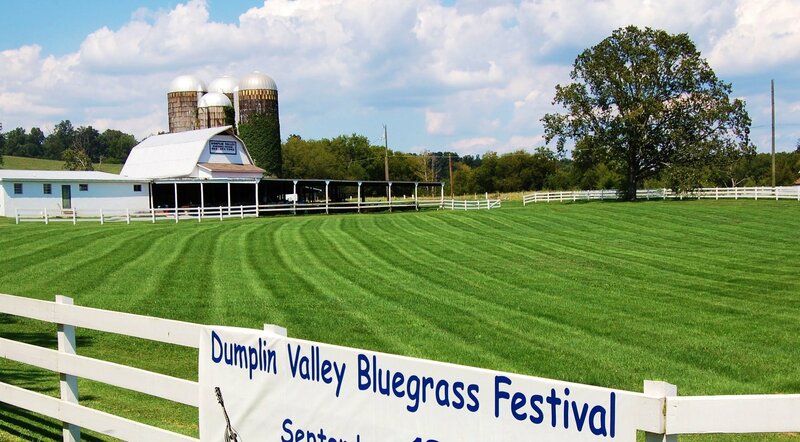 And see the Dumplin Valley Bluegrass Festival web site and Facebook page. Gatlinburg celebrates the changing seasons with its annual Taste of Autumn, an evening of entertainment, music and LOTS of food at the Gatlinburg Convention Center on Thursday, September 14, 2017 from 5–8 pm. Live entertainment from a bluegrass band and a star comedian will combine with samplings from more than 20 local restaurants and eateries for a feast and fun time that also benefits community charity. For information and to buy tickets see the Taste of Autumn website. Meanwhile in Townsend over to the west, on the “Quiet Side of the Smokies”, to match the Rod Run dates there’s the True Blue Fall Ford Truck event happening September 14-16. Lots of family friendly events as well as the Fords and Broncos showing off. Click here for more information about the Ford Truck event. Townsend is a great town that preserves a lot of the heritage of the area and the national park. Visitors to Cades Cove may well have stopped there, and guests in our Wears Valley cabins are familiar with the town. We’ve written up several of its notable annual spring and winter events. Friday nights in Townsend you can generally find some good live music, and the Heritage Center comes through on September 15 with the Good Thymes Ceilidh performing to kick off the national park’s ‘Music of the Mountains’ season sponsored by Great Smoky Mountains Association. It’s food at 6 pm and music at 7 pm. Click here for information. Alternately, up in Sevierville on September 15, Friday evening 6-9 pm, at the motor-themed restaurant called Quaker Steak & Lube, there’s an Auto-Fest Cruise-In, welcoming anything on wheels that you want to show off. Sevierville is to the north of Pigeon Forge a few miles, on the way to Dumplin Valley. It’s a fun town and also hosts one of the best Muscle Car Museums in the world, if muscle is on your mind.